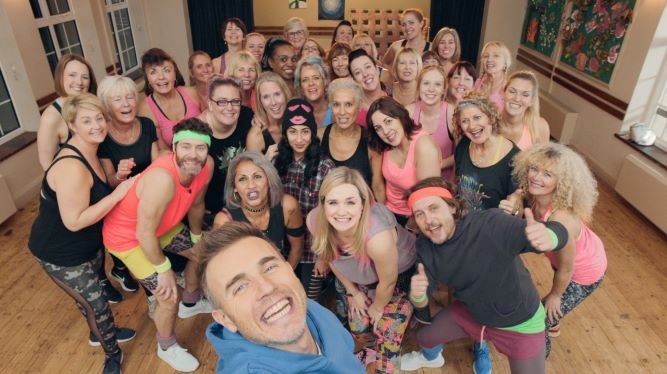 Suzuki is working with Take That and ITV in 2019 to bring the fun to Saturday nights. Our #bringthefun campaign sees the UK’s favourite band in our new Suzuki Vitara to surprise fans with a journey they’ll never forget. Check back here to see the latest ads, exclusive online content and find out about latest competitions. Make sure to follow us on Facebook, Instagram and Twitter to join in with us as we #bringthefun to 2019. Primary school teacher Sarah was busy teaching her kids at Weobley Primary School to sing Take That’s smash hit Greatest Day when Gary Barlow, Mark Owen and Howard Donald surprised her with a secret visit, having driven to the school in the new Vitara. Sarah said: “Meeting the band is a dream come true, I still can’t quite believe it happened! It wasn’t just a treat for me, but also for many of my friends/colleagues – and the children were overwhelmed to meet the band their teacher has been talking about all this time! When they turned up, I was accompanying the children on the piano to Greatest Day and I was so shocked I just couldn’t stop playing!" Catherine thought she was being filmed for a documentary when the band turned up in a new Vitara. The whole village was brought to a standstill as the high street had been closed for the band’s visit – and Catherine genuinely had no inkling what was to happen when Gary Barlow, Mark Owen and Howard Donald snuck up to surprise her at work as a florist. The superstar band wasn’t there to perform though – they were there to act as her chauffeurs for the day, whisking her away to her dance class. Catherine said: “I was just getting ready for a normal day at work when it happened; I’d noticed the road was closed but thought nothing of it – but when the band turned up and I realised it was all for me, I couldn’t believe it!" At Suzuki, we don’t do boring. We do thrilling. We do exciting. We do fun. The new Vitara is the star of our bring the fun campaign, coming in a range of single and two tone options to choose from. With its strong SUV styling, coupled with compact dimensions of the car, giving you the edge to turn heads.